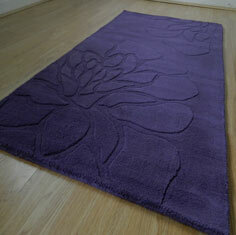 Floral Rose Rugs - Two classic designs in contemporary, stylish colours. Handmade and hand-carved which gives this collection a thick textured look and feel. Floral Rose rugs offer a new take on classic styling. Made in India from pure wool.